How are Precious Metals like Gold Formed and Recovered? The precious metals that we look for deep in the Earth’s crust were formed billions of years ago in space. Through cataclysmic events, these metals were transported and settled all over our planet in microscopic concentrations. Effective gold recovery at these low levels is now possible thanks to gravity separation devices like the Falcon SB Gravity Concentrator. Interestingly enough, what this piece of advanced technology is really collecting is stardust. Stars are mostly made up of hydrogen, the simplest and lightest element. The amount of gravitational pressure generated by stars triggers nuclear fusion in their cores. This process releases energy from the hydrogen, causing stars to shine! Over time, fusion transforms a star’s hydrogen into heavier and heavier elements like helium, carbon, oxygen. Eventually, iron is created. The presence of iron in a star triggers its demise as nuclear fusion slows down and can no longer balance out the star’s gravitational force. The star begins to collapse inwards, then bounces back in an incredibly violent explosion that we know as a supernova. The intense pressure of a collapsing star is so high that the iron transforms into even heavier elements, like gold, silver, and platinum. The creation of these elements in supernovae takes place in a matter of seconds. How Did Gold Arrive On Earth? The elements and debris formed during a star’s collapse ride the explosion’s shockwaves across the galaxy. The swirling gas, dust, rocks, and elements (like gold) condense into new planets and stars. Earth’s gold was likely developed this way. Geothermal activity inside our planet condensed and molded the gold, along with other metals and minerals, into veins. Is It Possible To Create Artificial Gold? Technically, yes. With particle accelerators, we can mimic the process of a collapsing star to form gold. However, these machines can only create gold atom by atom. It would take almost the age of the universe to produce one gram of gold this way. So How Can We Recover Gold Effectively? There are different methods for optimal gold recovery depending on the type of deposit. Gravity concentration, cyanide leaching, froth flotation, and circuits made up of a combination of these processes enable us to recover the precious metals efficiently and economically. Sepro’s knowledge and experience with different types of gold give us an edge on maximizing any gold recovery project. If you’re looking to harvest some stardust, contact our gold recovery experts. 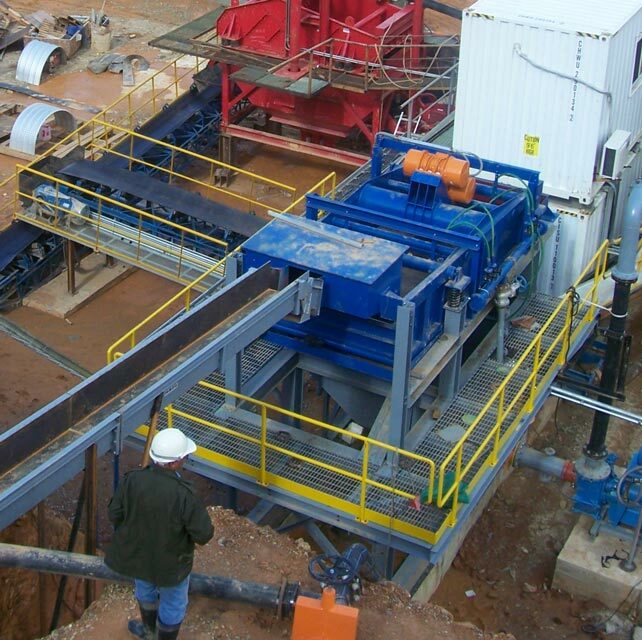 We have the equipment, knowledge and experience to improve your current or next mining project.